Award-winning picture book author and illustrator, Peter H. Reynolds, will be attending the 4th annual Boston Teachers Union Back to School Fair. 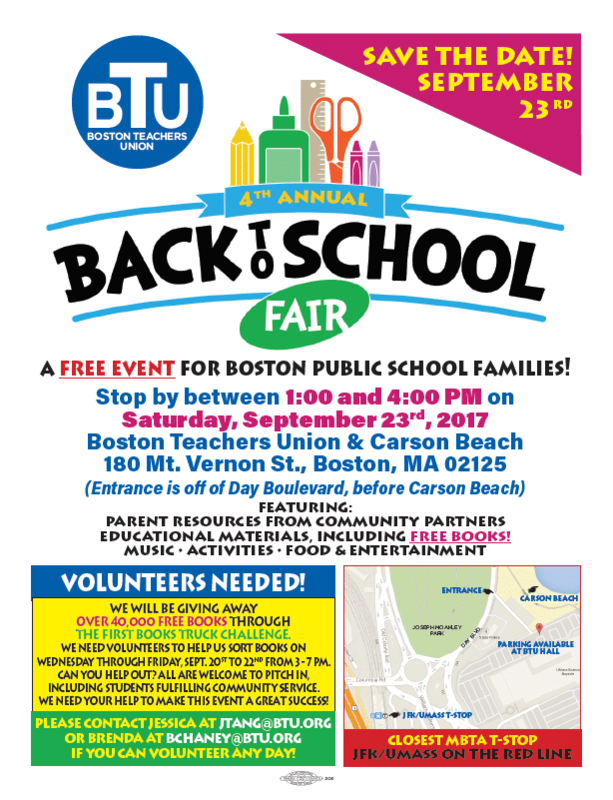 The event, for Boston Public School families will be held on Saturday, Sept. 23, at the Boston Teachers Union and Carson Beach at 180 Mt. Vernon St., Boston. Ma. Stop by between 1 -4 p.m. to say hello!